Botanically a berry, there are thousands of varieties of grapes grown in countries around the world, and popular producers include Chile, Italy and the United States. 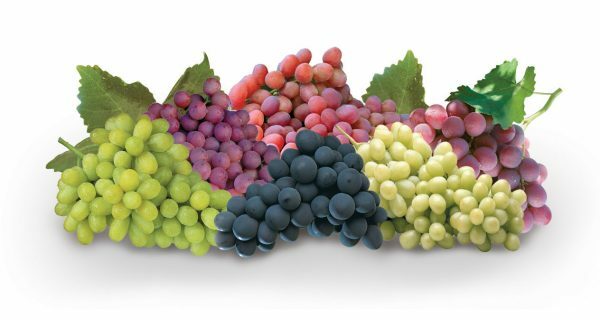 Depending on the variety, grapes can be purple, red, black, blue, yellow or green. 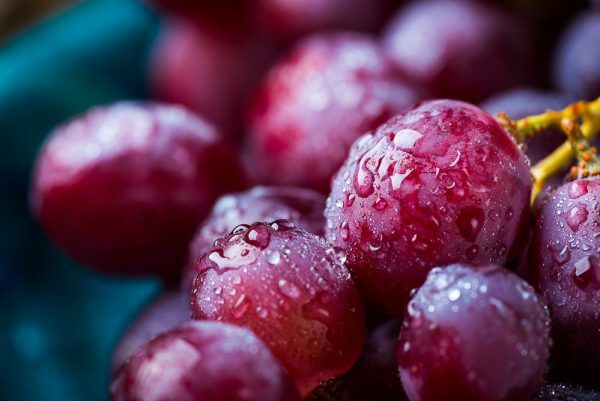 Red and purple grapes are considered especially healthy because of the presence of an antioxidant known for its anti-aging and immune boosting properties. In terms of local availability, the coronation is the predominant variety grown in Ontario and is available between mid-August to mid-September. Learn more about our local grapes from the Ontario Tender Fruit Board. Imported grapes tend to be available year round from all major supermarkets. Flame Seedless: Small, round, with a thin skin and wine-red colour. These are sweet and juicy, with a crisp bite. Red Globe: Large, seeded, with a firm and sweet flesh. They’re red to a deep red colour. Crimson Seedless: Dark pink in colour with a sweetly acidic flavour. Ruby Seedless: Deep red colour with thin skin. Red Seedless: They have large, elongated berries with a lightly sweet flavour. Thompson Seedless: This is among the most common grape available. Clear green in colour and known for its crisp, juicy texture and sweet flavour. This variety is ripe when the grapes have a yellow tinge. Sugraone: Similar to Thompson Seedless in colour, but with an elongated shape. This variety is slightly sweeter and crunchier than the Thompson variety. Perlette: A light, pale green colour that’s almost translucent with round berries, resembling a pearl (hence the name!). Black Seedless: Firm flesh with red-black skin. Ribier: The skin colour on this variety ranges from blue to black with green flesh. The berries are very juicy, large and round, with firm skin, and a moderately sweet flavour. Seedless Coronation: The predominant variety grown in Ontario, these grapes have a crisp, juicy flesh with a mild sweet taste that is idea for eating fresh out of hand. 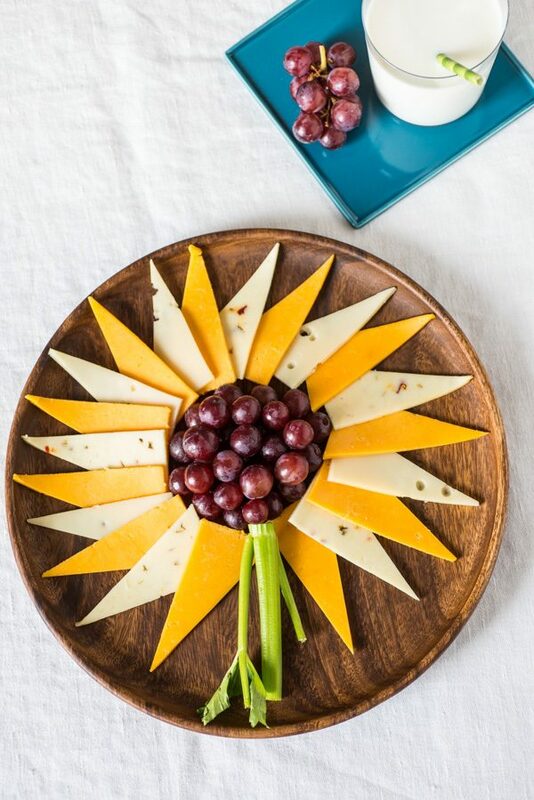 They are also a tasty garnish, addition to cheese platters and are perfect for baking. 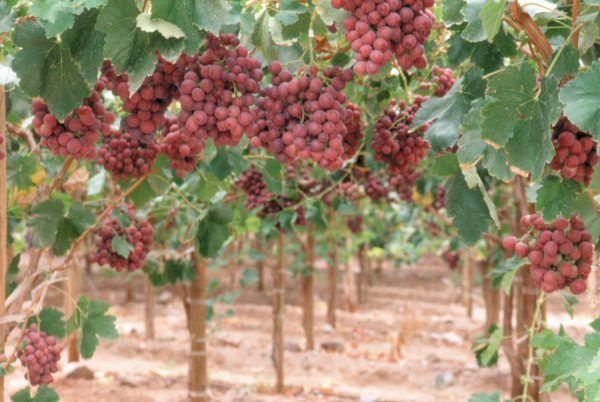 Muscat: These grapes are light-rosy pink and have a honey sweet flavour with a floral touch. They’re seedless with a crisp but juicy texture as you bite into it. This grape is typical for dessert wines, so naturally they’d be delicious in fruit salad or on cheese platter served with dry white wine. They are available only for a limited time, typically late winter into early spring. When choosing grapes, look for plump fruit that are attached to the stem. The greener the stem is, the fresher the grapes will be. 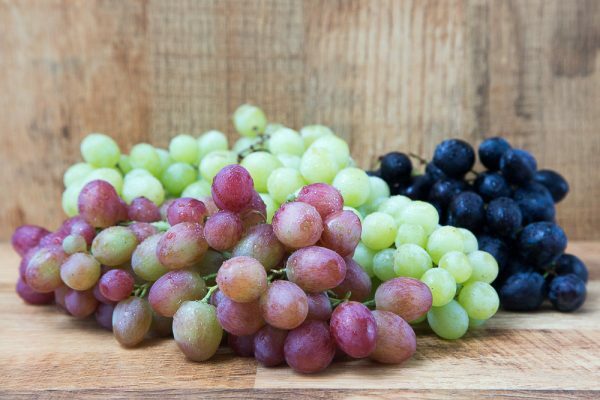 Green grapes will have a yellow hue when ripe, and red and purple grapes will be even-coloured. Look through and remove any bruised, blemished or damaged fruit. Very fresh grapes will last up to 2 weeks if you keep them in the bags they come in, in the fridge but it is usually recommended that you eat them within 5-7 days of purchase. Grapes naturally produce a white “bloom” or “blush” which is sometimes thought of as a dust or powder. Similar to other soft fruit such as blueberries or plums, grape plants produce this to protect the fruit from moisture loss and decay. So, this naturally occurring bloom helps to keep them fresh! To keep them fresh longer, don’t wash grapes until the day you wish to eat them. To eat, rinse them gently in cool water. Feel free to use a produce wash if you prefer. Drain and serve immediately. Keep grapes away from pungent aromatics like onion or garlic, as they will absorb the aroma of the things that surround it. Surprisingly, grapes take very well to freezing. To do so, remove them from the stem and rinse using a produce wash or under cool, running water. Drain well, and use a clean dishtowel to pat them dry completely. Place on a parchment-paper-lined baking sheet and set in the freezer until frozen. Remove and place in an airtight-freezer bag. 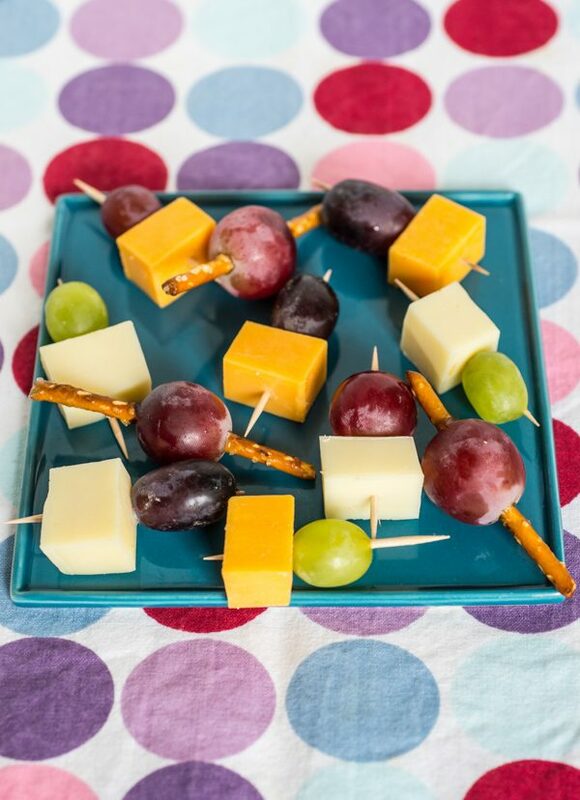 Alternatively, freeze them onto skewers to enjoy as grapesicles or add to a fruity cocktail. Store in freezer for up to six months. Prepare grapes much like you would cherry tomatoes. Enjoy them whole or half them and add to your favourite leafy salads or fruit salads. 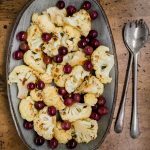 Another idea is to roast whole grapes with your favourite savoury dishes like with poultry, veal, and pork during the last 15-20 minutes. Grapes are absolutely delicious in savoury applications—they’re incredibly juicy and subtly sweet. 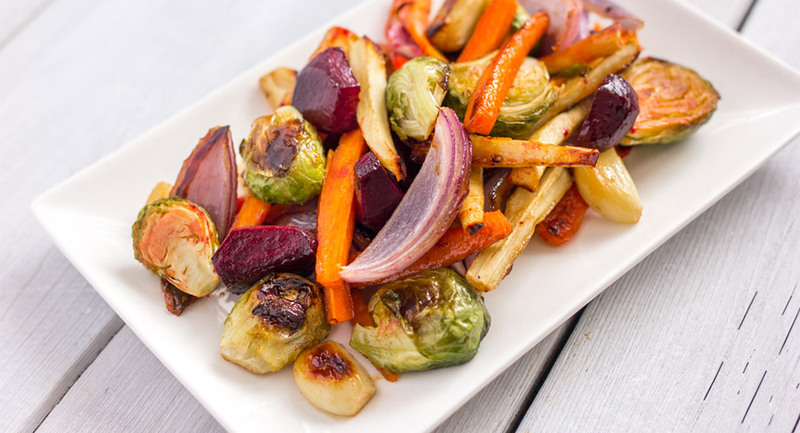 To roast grapes, preheat oven to 450°F and line a baking sheet with parchment paper. Wash and dry grapes, then lightly coat with oil of your choice and season with salt. Roast until the grapes are blistered on the outside, but juicy and jammy on the inside, about 20 to 30 minutes. Only wash grapes just before using. This will preserve their protective bloom – a natural coating that helps them stay fresh longer. If you only want to eat a handful of grapes, use scissors to cut the stems and separate the small clusters of grapes. This preserves the stem and keeps the grapes fresher for longer. It also makes them easier for you to grab and eat. Roast grapes and let them cool before adding to grains and pulses. They will add both a burst of colour and flavour to the dish. Grapes can last for over a week in the fridge, as long as they are kept humid in the perforated bags that they are sold in. 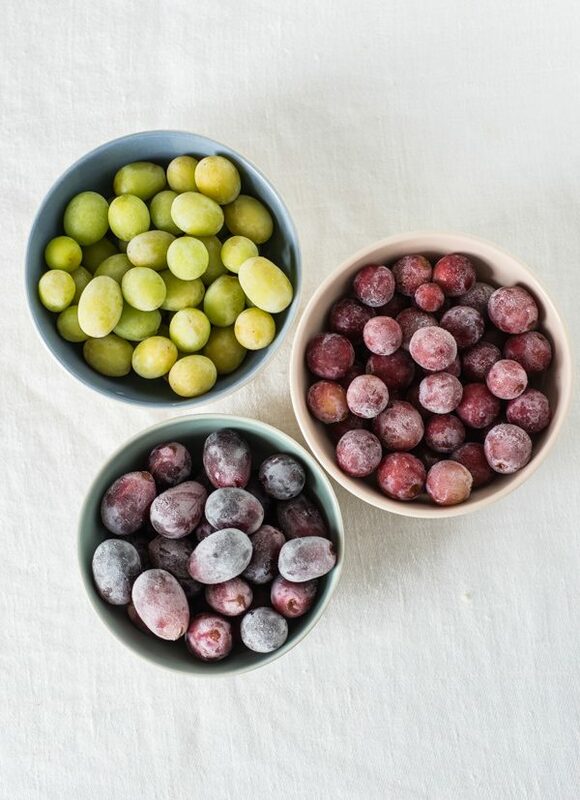 Frozen grapes are a delicious treat that will also satisfy your sweet tooth. Looking for a faster way to halve grapes? Wash and separate them from the stem, and then hold them in place between a cutting board and a lipped plate or lid (plastic food containers are great for this). Place your hand on top of the lid to apply even, gentle pressure, and cut the grapes, running the knife horizontally. This method allows you to cut up to a dozen grapes at a time. In this helpful video, two plates are used to hold the grapes in place while cutting them in half. Spoon roasted grapes over top of thick slices of toast smeared with fresh ricotta. Add grapes to your favourite pound cake or cornmeal cake recipe. A simple weeknight dinner idea: roasted sausages with grapes and onions. Sweet grapes are a welcome addition to chicken salad. 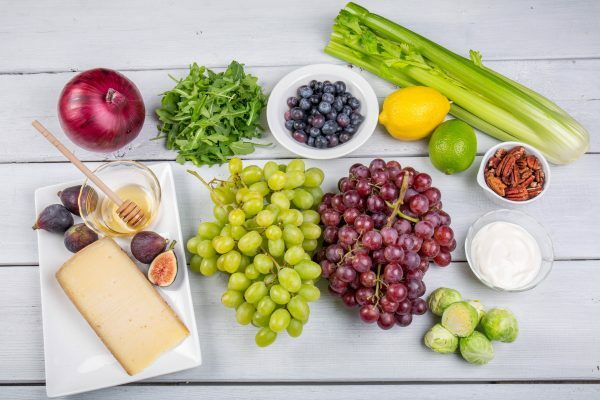 According to the Canadian Nutrient File, 1 cup of grapes (about 160 g) contains 9% of your daily-recommended requirement of potassium, 8% of fibre (1.9 g), 4% of magnesium, and 115 µg of the antioxidants lutein and zeaxanthin.